GAP has developed three valuable resources about whistleblowing—one for journalists, another for public interest organizations, and one for federal workers in the science, environment and natural resource agencies. Increasingly, non-profit advocacy organizations concerned about government abuses and malfeasance in a whole host of areas—government waste, ethics violations, environmental dangers, censorship, immigration policy, etc.—are recognizing that whistleblowers are essential sources of information. 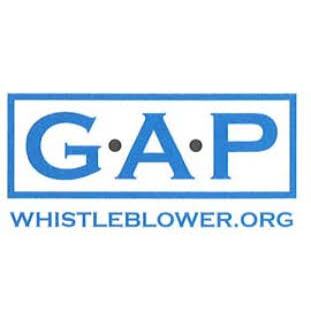 GAP’s new guide offers practical guidance on how public interest organizations can support employees who want to report concerns about misconduct while ensuring that neither the whistleblower nor the organization are made vulnerable inadvertently. The power of whistleblowers to hold institutions and leaders accountable often depends on the critical work of journalists, who verify whistleblowers’ disclosures and then bring them to the public. This Guide, released in Fall 2017, offers information to help journalists navigate the complexities of working with whistleblowers, including best practices to protect sources and minimize reprisal while exposing abuses of public trust. GAP’s newest resource seeks to offer information to federal employees who work in the science, environment and natural resource agencies, which have been plagued by an actively anti-science political culture openly hostile to their public missions by issuing gag orders, censoring words and information on government websites, cutting science and technology budgets, and maintaining strong ties to the industries they are charged with regulating. In addition to a new brochure, Make a Note to the Record: How Federal Scientists Can Protect Science for the Public Good, which GAP developed along with the Union of Concerned Scientists and other organizations to encourage federal employees to document abuses of scientific integrity, GAP’s new resource on whistleblowing for federal employees is intended to offer support for those employees unwilling to stay silent in the face of serious abuses of public trust.